As 2014 winds down, let’s look back on the year that was in downtown Phoenix. 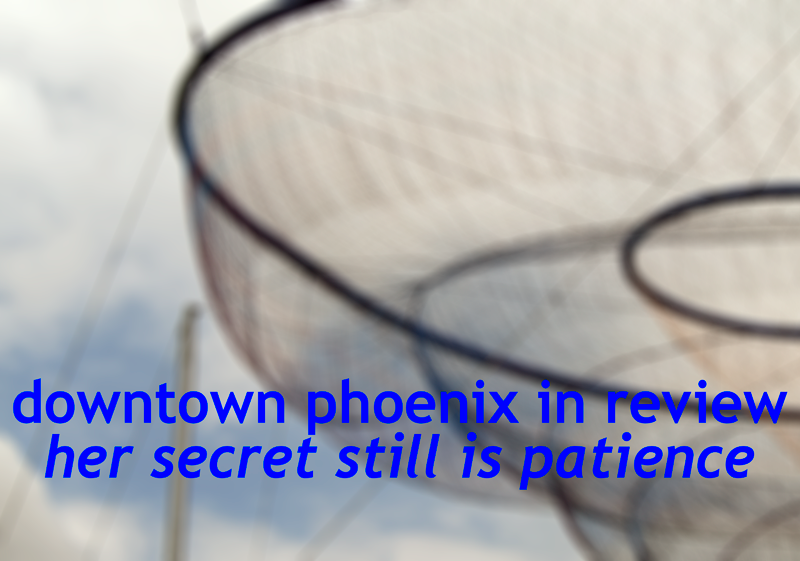 In this finale post, I’ll look at downtown Phoenix’s opportunities for 2015. 2. The “Central Arts District” if it gets going and becomes more inclusive. Not much is known about the Central Arts District other than it consists of several of the arts organizations in Midtown, the Phoenix Community Alliance, and the ownership of the VIAD corporate center. The Midtown Museum District, whose mission and boundaries are the same, seems to have been kept in the dark about this. Even the Phoenix Arts and Culture Commission, of which I am a Commissioner, knows nil about this group. 3. New residential projects coming to downtown. Ground is set to be broken on several residential projects in the central core this year: the Union at 1 Avenue and Roosevelt, the Muse at Central and McDowell, and projects surrounding the Barrister Place project at Central & Jefferson. Physical design notwithstanding, these projects will bring some new density downtown, always a positive. If Phoenix is going to latch on to the back-to-the-city movement happening nationwide, then some new residential density is needed. This is a start. 4. The Super Bowl comes to Phoenix in February. As the world descends to Phoenix for February’s Super Bowl, Phoenix has started to put its best foot forward. While the game is in suburban Glendale, most of the main events are in downtown Phoenix. This is a great chance to show the world about Phoenix. Despite the problems of the N.F.L. this year surrounding domestic abuse (among other things), the Super Bowl brings the eyes of the world to its host city. Phoenix’s urban leaders should capitalize on this. 5. A new Chief for the Phoenix Police Department. After a tumultuous tenure as Chief of Police, Daniel V. Garcia was fired by Phoenix City Manager Ed Zuercher on 18 December after Mr. Garcia called a press conference slamming his critics and demanding a contract extension from the same City that ordered him not to hold that press conference. Telling of Mr. Garcia’s tenure was his curious absence from a marathon City Council meeting the previous day to address community-police relationships. With community-police relationships on everyone’s minds these days following high-profile incidents in Ferguson, New York City, and even here in Phoenix, a new start was needed. The “Central Arts District” group is very curious, especially with Phoenix Community Alliance involved. Not an organization I’d describe as cutting-edge in the pursuit of the arts.